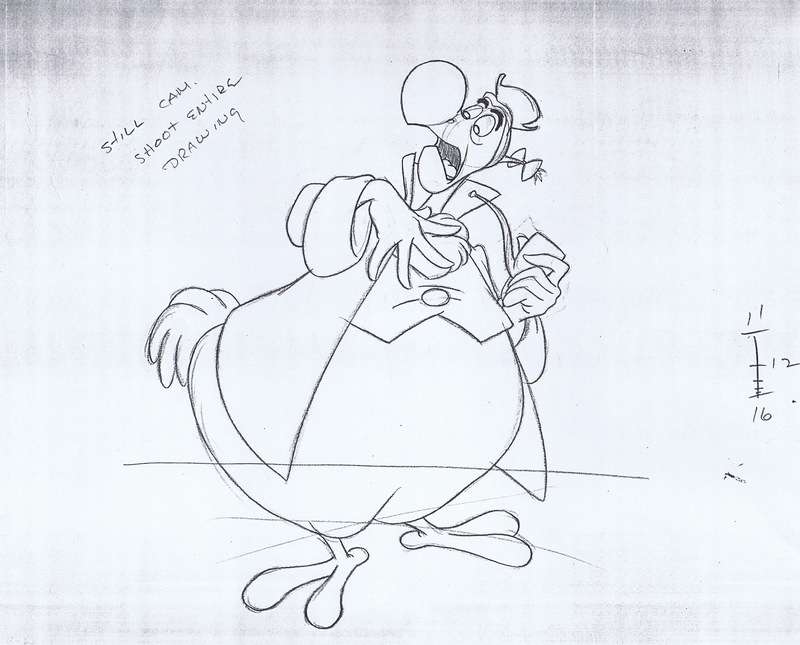 This character from "Alice in Wonderland" is beautifully designed, sometimes gorgeously animated, but with a completely underdeveloped personality. 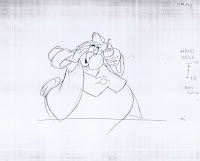 There is way too little screen footage of him to get any real sense of who he is and why he would be important to the story. The Dodo is a very handsome design though, and it's fun to trace back his visual development. 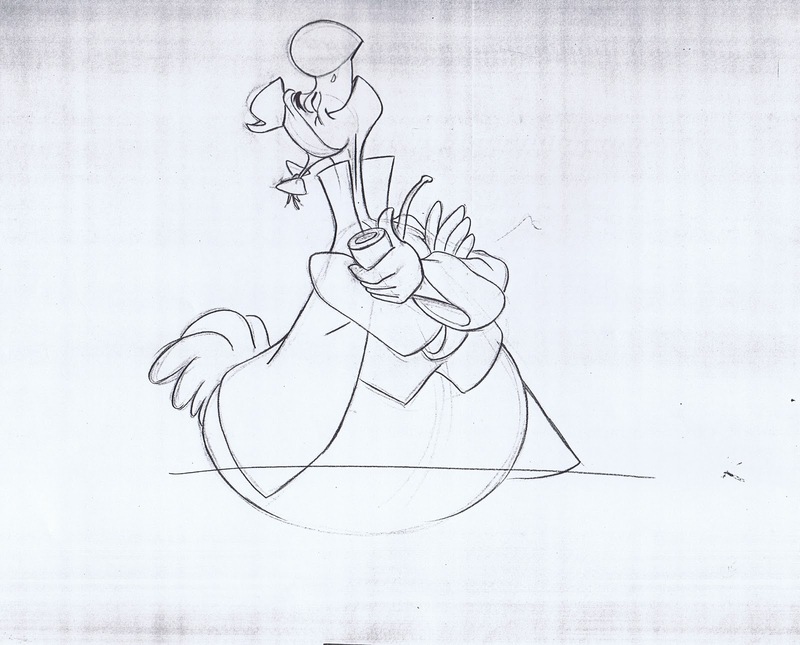 This rough model sheet, probably drawn by Joe Rinaldi, is somewhat based on John Tenniel's illustrations for the original book by Lewis Carroll. 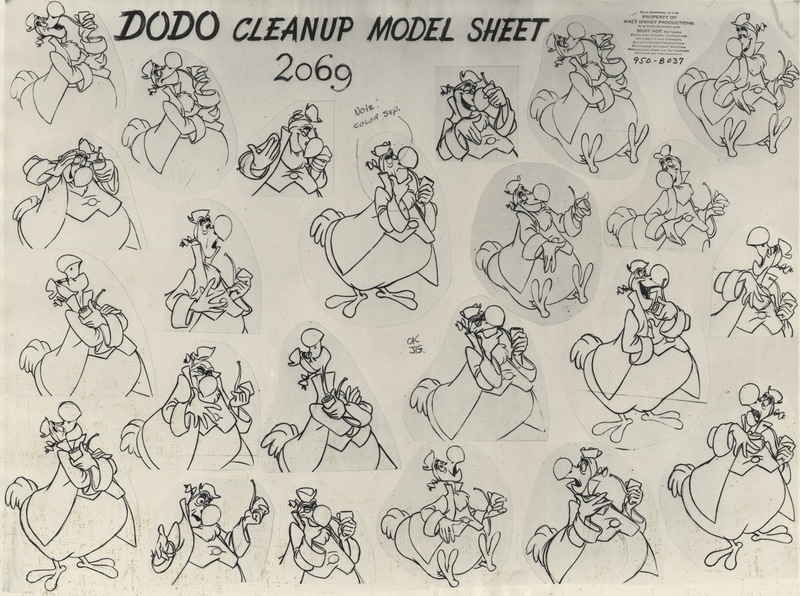 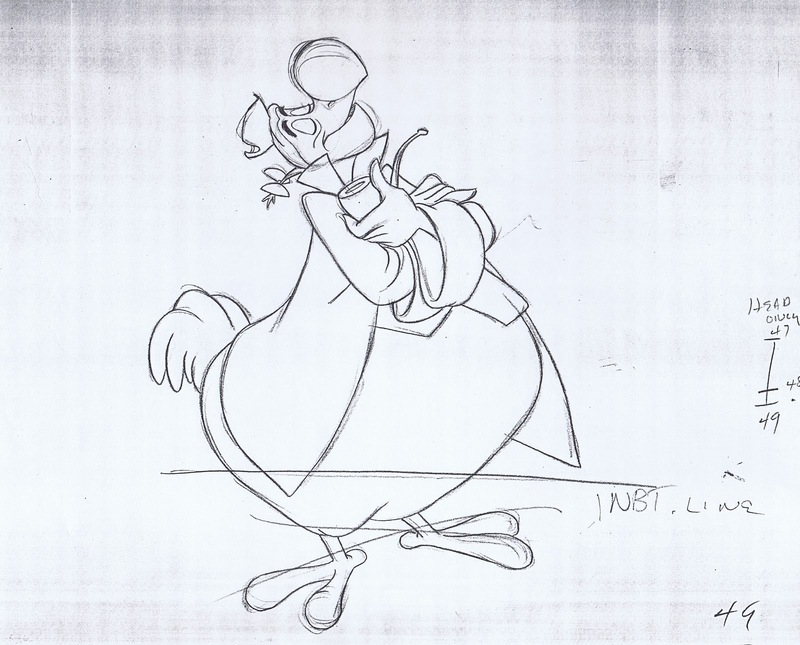 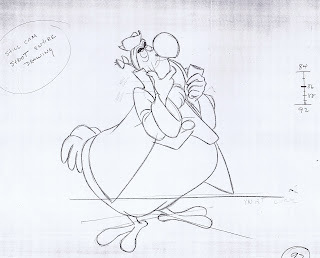 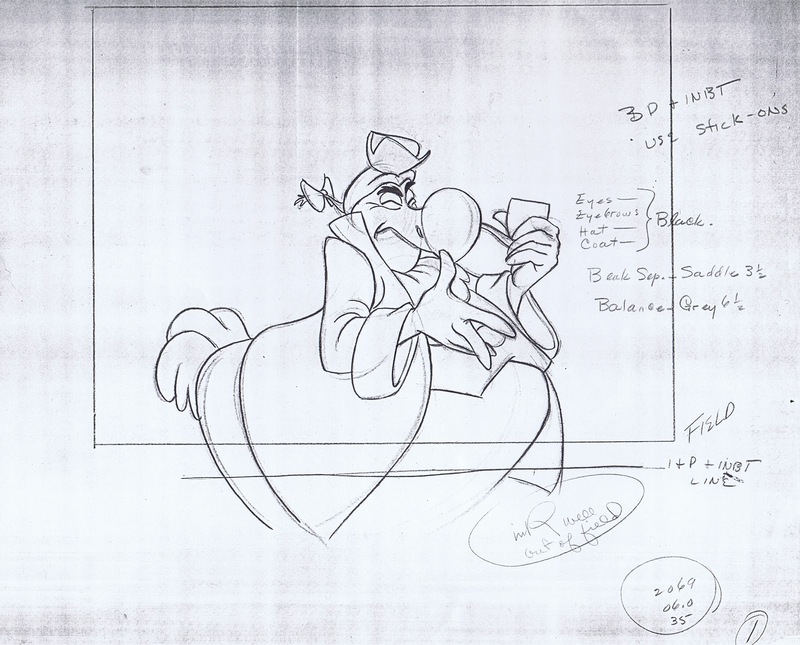 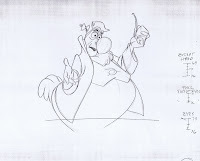 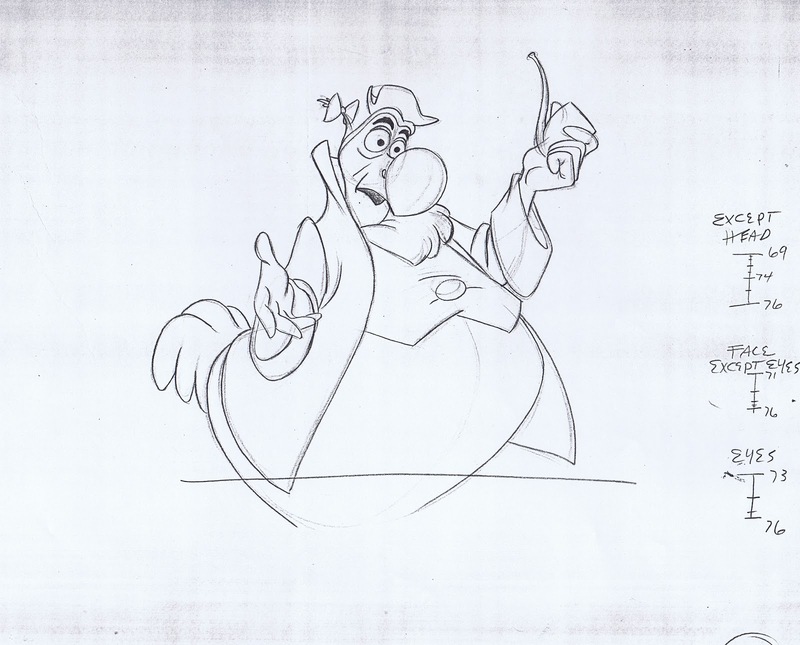 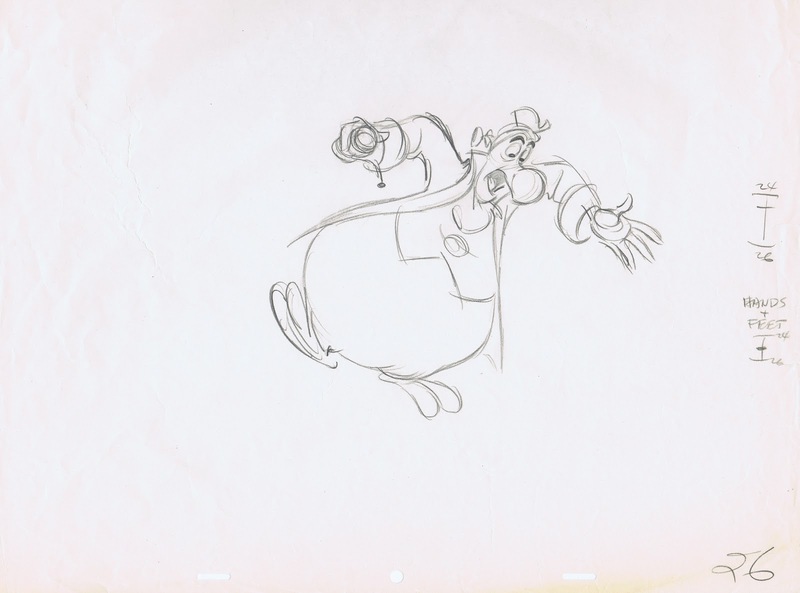 Milt Kahl left the wonderfully contrasting design intact, as you can see in this clean up model sheet. 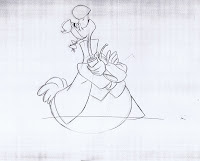 It is made up of tied down animation keys from a couple of his scenes. 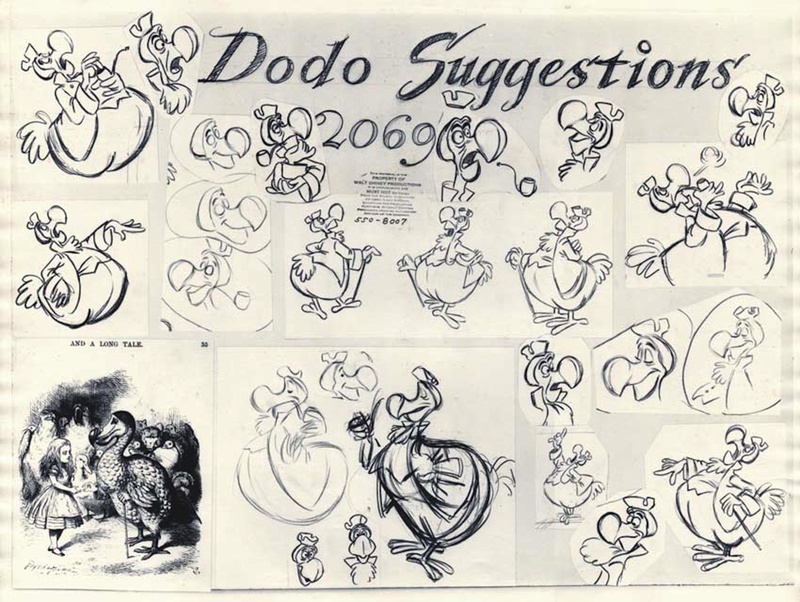 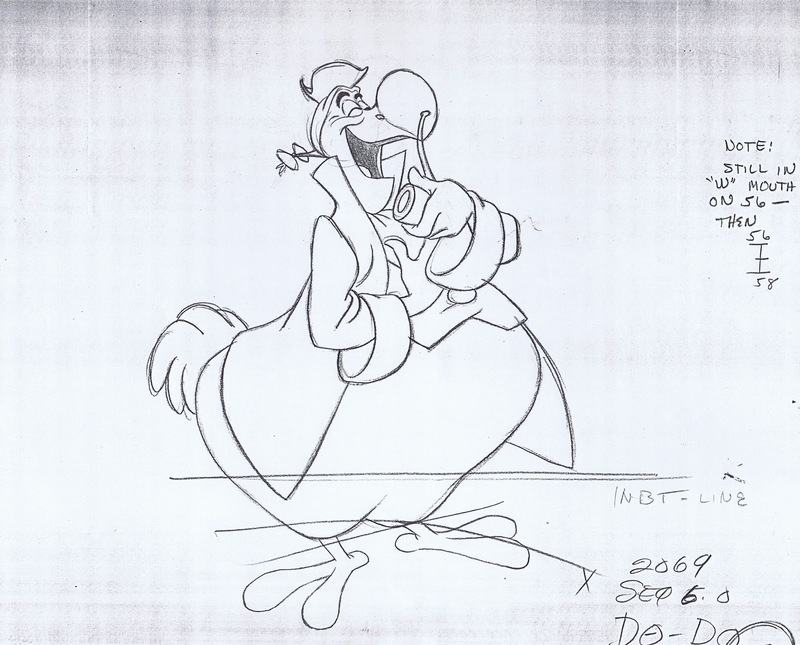 Two of Milt's rough animation drawings of the Dodo. 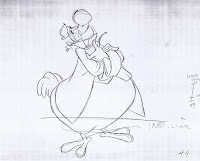 It's the character's unique proportions that make him stand out. 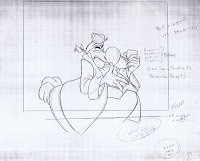 A huge lower body with a relatively small chest. 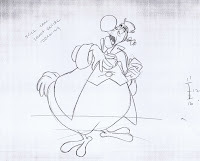 The Dodo advises the White Rabbit what to do with the oversized Alice, who is filling up a whole house: "Pull it out of the chimney!" 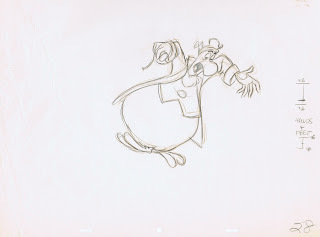 White Rabbit: "Yes, yes…go on, go on!" 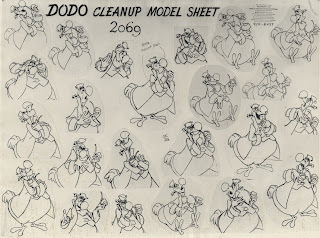 Dodo: "Who me? 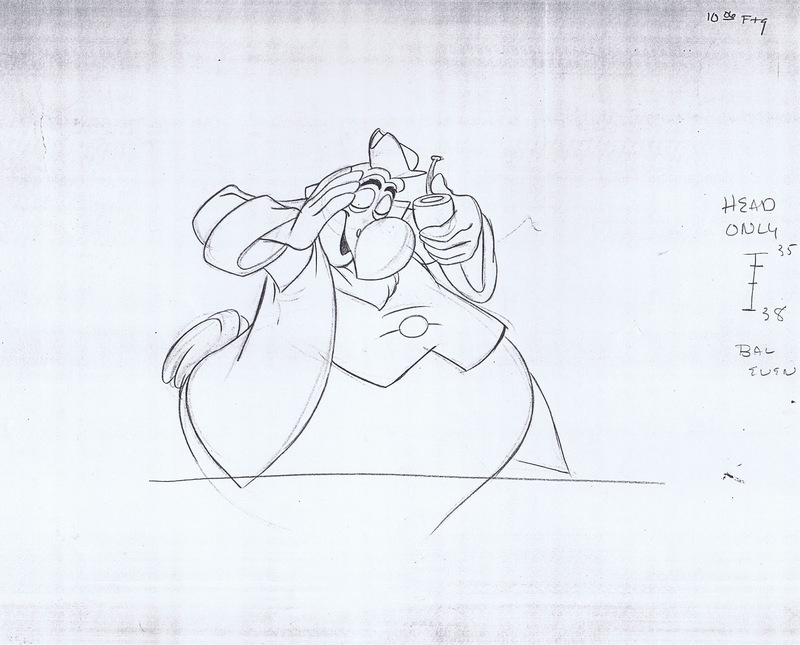 Don't be ridiculous! 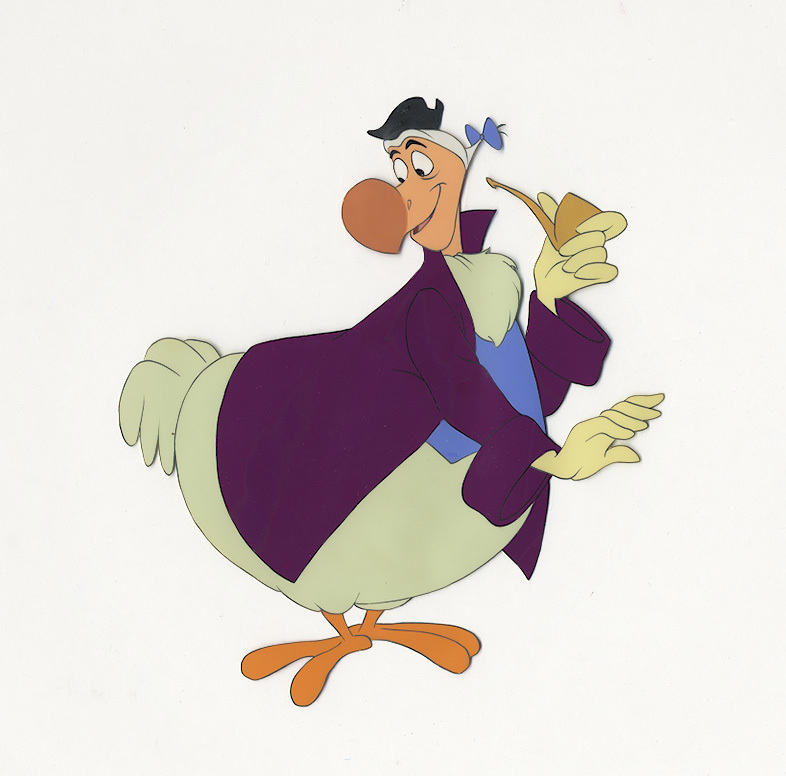 What we need is a …." 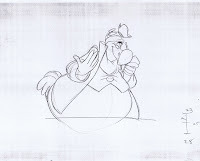 Here are a few key drawings from that scene. 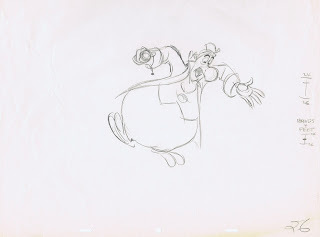 Beautifully drawn and acted, the character shows believable weight in the animation. The strong squash and stretch adds a sense of flamboyancy. 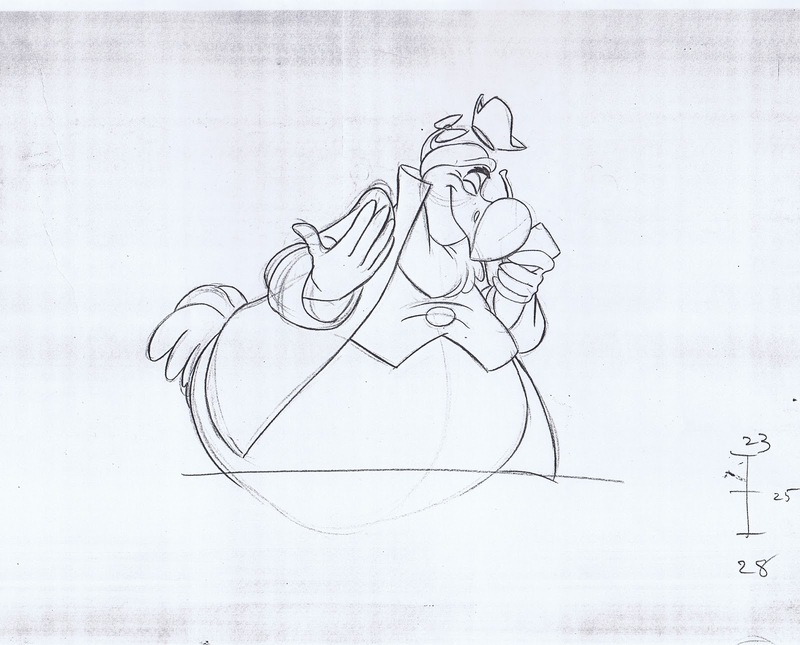 It is interesting to compare the way Milt is treating the hands compared to later bird characters. 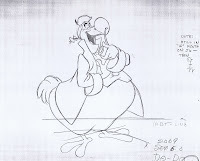 These are very human like, while Allan-a-Dale and Lady Kluck from "Robin Hood" maintain wings, capable of articulating human gestures.